One of our favorite things about blogging is working with incredible people and organizations we meet along the way, online, or in person. We’d love to work with you, and create a relationship that is beneficial for both of us! We offer guest blogs, exchanges, and product sponsorships. We're so happy you are interested in working with us! We're going to share a bit more about our core mission and values, as well as our website stats and audience demographic. This will help you get a better idea if a partnership with Two Wandering Soles is a good fit for your brand. Two Wandering Soles is a down-to-earth and engaging travel blog focused on responsible and adventurous travel around the world. We are passionate about helping others plan the travels of their dreams, whether they have 1 week or 1 year; and whether they’re on a tight budget or have money for splurging. Two Wandering Soles is a well-respected blog in the Responsible Travel niche. In fact, we won the Responsible Traveller Competition hosted by the United Nations World Tourism Organization – a high honor indeed! Want more info? Feel free to email us at hello (at) twowanderingsoles (dot) com to request a media kit for more detailed information. The majority of our audience are young professionals who travel to find adventurous, authentic and meaningful experiences. They travel with a budget in mind, but splurge when an experience is worthy. Our audience is also interested in traveling ethically, and they do their best to support companies that are doing positive things for the world, the environment and in their communities. Our typical reader is a millennial woman who travels solo or with a partner. She is between the ages of 25 - 35 years old, and is likely from North America, the UK or Australia. Our blog is read in 140+ countries around the world, but the majority of our readers come from North America, UK, Europe, Australia and Singapore. We’ve been privileged to work with some amazing brands from all around the world. Our partners range from tourism boards to hotels to tours to products. We try to create an open relationship where we discuss the brand’s goals, so we can work together to provide data-driven results. We value the trust our audience has placed in us, and we take that seriously. For this reason, we only partner with companies and brands whose values and products we personally stand by. If you think your company or product will win us over with its awesomeness/eco-friendly focus/magical powers, please continue reading for the types of partnership opportunities we offer. If you are seeking to promote a destination, we can work together to increase awareness through social media, content creation and photography. Hire us to promote your brand or product on our social media channels. We value authenticity and create content from scratch with this in mind. With a knack for storytelling, an engaging voice and knowledge of SEO best practices, we can create unique content specific to your brand. Sponsored content: We can write sponsored material about your brand to be published on Two Wandering Soles. Please understand that we do not accept pieces written by the clients themselves. Important Note: All sponsored content will be 100% honest and authentic, and will include only no-follow links, as per Google guidelines. It will also include a disclosure, as outlined by FTC guidelines. Commissioned piece for your site: If you are looking to build your brand’s presence online, we can create a highly-engaging SEO-driven piece for your website. We are currently seeking long-term ambassadorships with brands we love. We can share these brands throughout our website and social media to create unique content and photos from our adventures around the world. Want photographs of your product on an epic hike in New Zealand? Looking for someone to come on your island-hopping adventure and provide your company with high-quality photos? 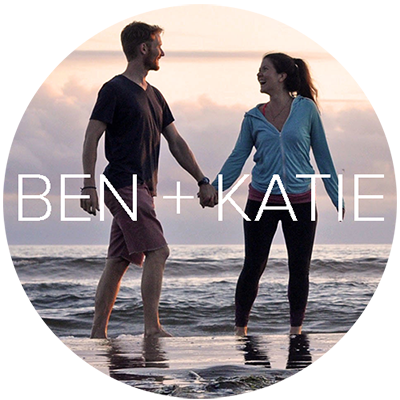 Katie is a trained photographer, and we have equipment and editing skills that will provide professional images to make your brand come to life. We can offer honest and engaging reviews of your property or tour to be shared on our website and/or social media. To purchase advertising space on Two Wandering Soles, simply head to our ad partner, Mediavine, to start the process. We have a growing email list with thousands of subscribers and a high open rate. Reach this targeted and engaged audience with a newsletter shout out. Cheers to a beautiful partnership! Does it sound like our values align? Want to work together to bring more exposure to your brand?! Let’s do this thang! Send your partnership proposal along with your contact details via email hello (at) twowanderingsoles (dot) com or by filling out the form below. Please allow us 3-5 business days to respond. Please understand that due to the high number of inquiries we receive on a daily basis, we only reply to partnership requests we think are a good fit. Thanks for sending us a message. We will be sure to get back to you as soon as possible.